A rare coerulea form of Cattleya jenmanii, this variety is a great compact grower for the type ! Its flowers carry a wonderful fragrance with each newly maturing small pseudobulb capable of producing up to four 15cm+ large flowers per inflorescence. In Venezuela it’s found in deep forests along rivers and experiences a wet season from summer to fall, followed by a drier season in the winter and spring. 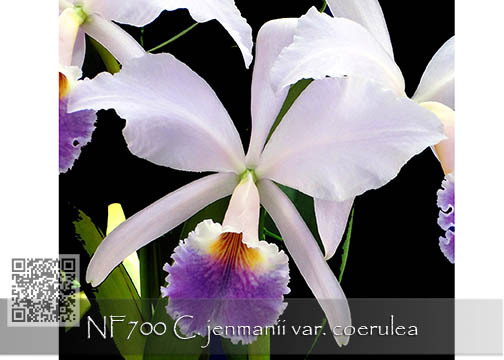 Deserving of a place in every Cattleya species collection, this coerulea form is Highly Recommended !